Preset Illumination\Lights_monique (marapontes) ( Guardar em sua pasta de Presets My PSP Files). 1-Abrir uma nova imagem transparente de 1024 x 800 pxls. _Preencher com o gradiente formado pelas cores #b3c3c9 e #252f33. Configurar Sunburst \Repeats 0. Invert desmarcado. 2- Select All. Edit Copy no vvs-paisagem0101 \ Edit Paste Into Selection . Selections\ Select none. 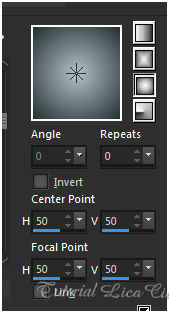 3-Adjust \ Blur\ Radial Blur. _ Preencher com o mesmo gradiente usado no ítem1. _Effects\ Geometric Effects \ Perspective Horizontal. D=100 \ Transp. _Repetir \ D= ( menos) -100 \ Transp. 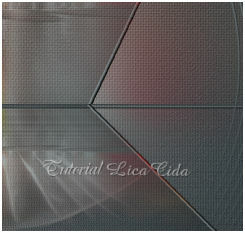 5- Effects\ 3D Effects\ Inner Bevel. _Effects\ Geometric Effects\ Circle _Transp. 6- Plugin MuRa's Meister \ Copies_ Throw. 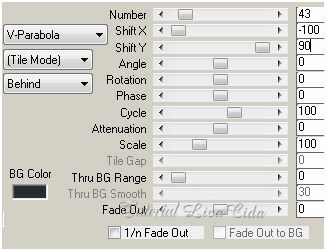 7- Effects\ Geometric Effects\ Skew . V \ A=( menos) -45 \ Transp. _Layer\ Duplicate . Image\ Mirror Horizontal. 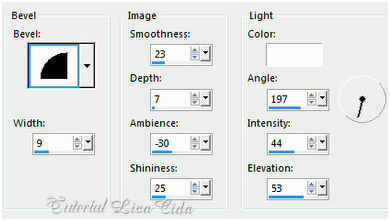 8-Aplicar mask gradiente DW. Duplicate .Layer \ Merge Group. 9- Plugin MuRa's Meister \ Pole Transform..._Default. * Plugin Alien Skin Eye Candy 5 : Impact\ Perspective Shadow_Blurry. _Nova Layer_ Flood Fill _ Opacity 35% . Preencher com o mesmo gradiente. 11- Effects\ Texture Effects\ Weave. 12- Effects\ 3D Effects\ Chisel. 13-Effects\ Geometric Effects \ Perspective Vertical. D= 60 \ Transp. 15-Edit Copy no vvs-paisagem0101 \ Edit Paste Into Selection . Selections\ Select none. _Acerto ( desço) o efeito com a ferramenta Pick Tool. _ Effects\ Distortion Effects\ Twirl. D=( menos )-720. _Effects\ Illumination Effects\ Preset Illumination\ Lights\ monique. 18-Plugin Nick Software\ Color EfexPro 3.0\ Bi-Color Filters\ Color Set \ Violet /Pink4. 19-Plugin Nick Software\ Color EfexPro 3.0\ Bi-Color Filters\ Color Set \ Brown1. 20-Edit Copy no vvs-paisagem0101\Paste As New Layer. 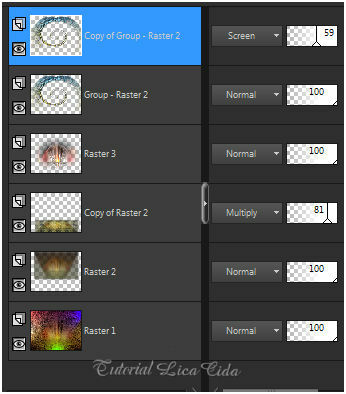 ( aplicar na layer superior\ Group-Raster2 ). 22-Edit Copy no OBG_1351\Paste As New Layer. Resize 80%. Posicione. 23-Edit Copy no 239_Divers_p2_Animabelle\Paste As New Layer. 24-Edit Copy no brush31\Paste As New Layer. use a gosto. 25-Image \ Add Borders \ 1 pxl color background. Image \ Add Borders \ 1 pxl color foreground. Image \ Add Borders \ 1 pxl color background. _Image \ Add Borders \ 30 pxls color=#ffffff. _Effects \ 3D Effects \ Drop Shadow 0\ 0\ 80\ 40,00. 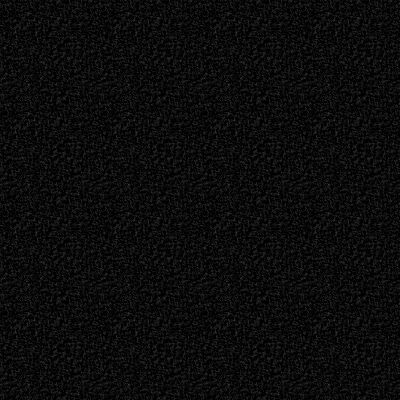 Color=000000. **Plugin AAA Filters\ Custom_Landscape . Aparecida / licacida, março de 2017.